I would like to learn more about 98 Guildwood Dr.
Clarington (2016 population 92,013) is a lower-tier municipality in the Regional Municipality of Durham in Ontario, Canada. It was incorporated in 1973 as the town of Newcastle with the merging of the town of Bowmanville and the townships of Clarke and Darlington. 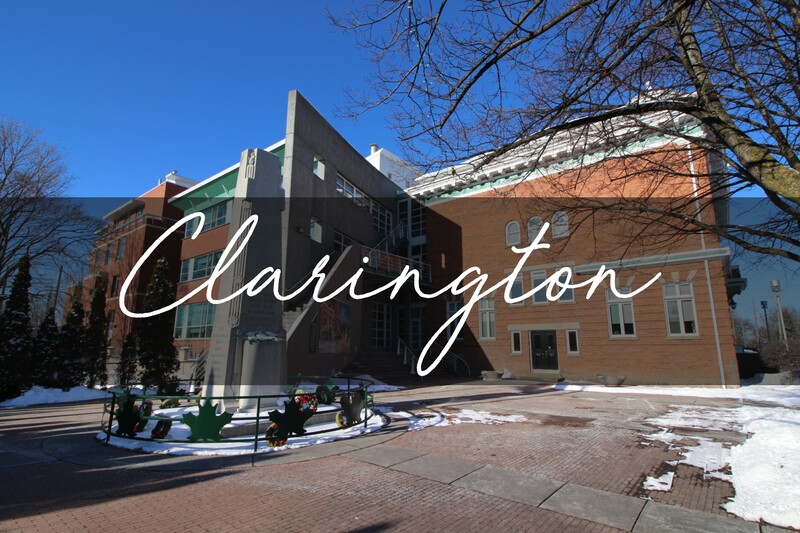 In 1994, the town was renamed Clarington, a portmanteau of the names of the two former townships. Bowmanville is the largest community in the municipality and is the home of the municipal offices. Clarington is part of the Oshawa census metropolitan area in the eastern end of the Greater Toronto Area (GTA). Major employers in Clarington include the Darlington Nuclear Generating Station, General Motors Canada, and several medium to large-sized manufacturing businesses. Most residents commute for work in Durham Region or Toronto. A major attraction in the municipality is the Canadian Tire Motorsport Park (formerly Mosport Park), a multi-track facility located north of Bowmanville that features a 2.459-mile (4.0 km), 10-turn road course; a half-mile paved oval; a 2.4 km advanced driver and race driver training facility and a 1.4 km kart track (Mosport International Karting). It is also a former host of the Canadian Grand Prix of Formula One before the event was moved to a circuit in Montreal in the 1970s. Clarington is home to five Christmas parades. It has more Santa Claus/Christmas parades than any other town-sized municipality in Canada. The parades are run in: Bowmanville, Newcastle, Courtice, Orono, and Enniskillen/Tyrone. The latter parade is organized by "T.H.E.E. Farmer's Parade of Lights", which is a special Christmas parade put on by the farmers from the communities of Tyrone, Haydon, Enniskillen and Enfield. Enniskillen which is located in the northern part of Clarington, was the birthplace of Samuel McLaughlin. Mr. McLaughlin started the McLaughlin Motor Car Co. in 1904 and was one of the first major automobile manufacturers in Canada, which evolved into General Motors of Canada. Enniskillen is home to the Enniskillen General Store which opened in 1840 and stills operates today. Clarington is also home to the Bowmanville Zoo and Jungle Cat World.